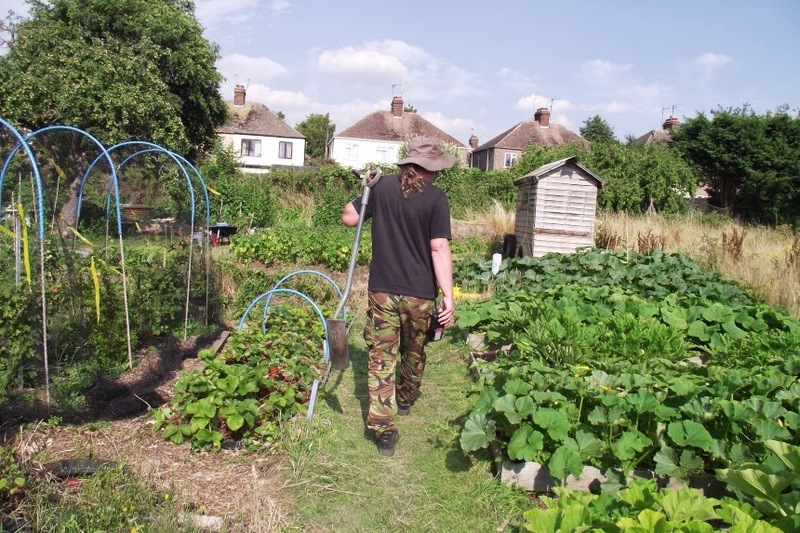 Now the growing season on the allotment is in full swing. For the rest of the year I try do keep a low profile. Digging just isn't for me! A little weeding here and there, perhaps, but not much more than that. The rest I leave to my husband who seems to like that kind of thing. When it comes to harvesting, I come into my own. Checking for cucumbers every day? Picking daily over the Runner beans and French beans? 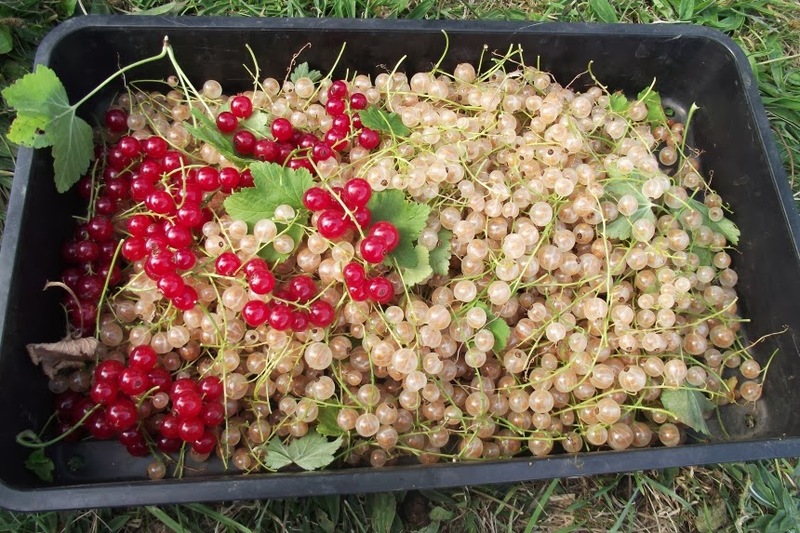 Spending hours picking the gooseberries and currants? And all evening shelling peas? That's the kind of job I find quite therapeutic. Hubby find it tedious! So we make a good team, it seems. Over the last month or two we have bought very few in the line of potatoes, vegetables and fruit. All is provided for! Our storage shed is already full with jams and pickles and the freezer full of frozen beans, peas and soft fruit. 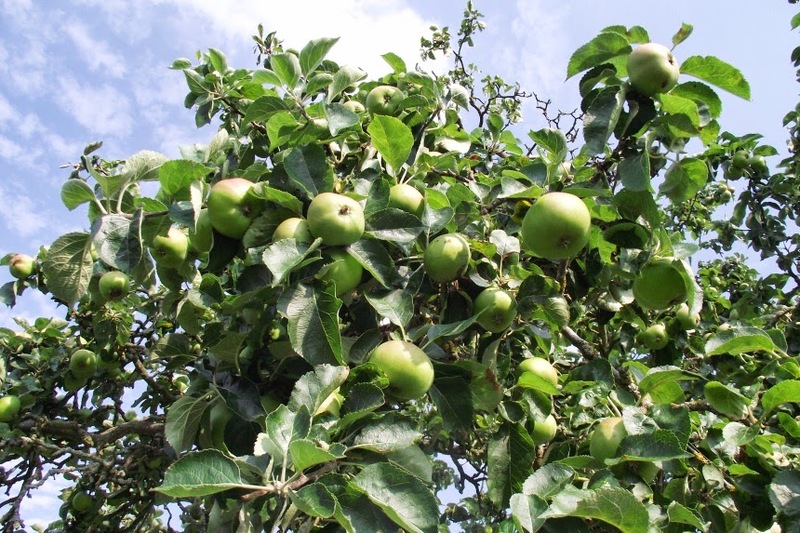 The tomatoes are only just starting and it looks like we will have a bumper apple crop! that's an impressive harvest and you do sound like a good team! We're getting a good crop of tomatoes just now from our windowsill garden!